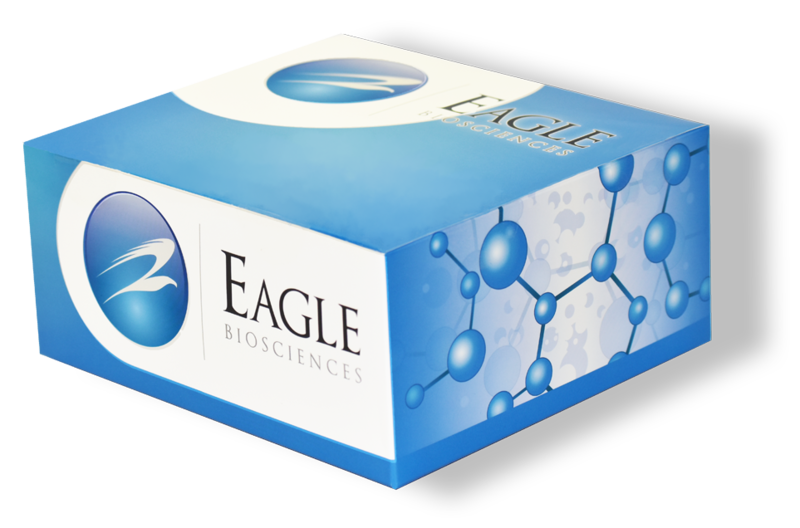 The Eagle Biosciences Combi AOZDFT Immunoaffinity Column (IAC) use in the clean-up of single mycotoxins of complex food and feed extracts is well established in laboratory work. This especially applies for the determination of mycotoxins which limits are regulated by authorities; that are aflatoxins, ochratoxins, zearalenon, deoxynivalenol, fumonisins and T2-toxin. The Combi AOZDFT Immunoaffinity Column is for research use only. The use of immunoaffinity columns (IAC) in the clean-up of single mycotoxins of complex food and feed extracts is well established in laboratory work. This especially applies for the determination of mycotoxins which limits are regulated by authorities; that are aflatoxins, ochratoxins, zearalenon, deoxynivalenol, fumonisins and T2-toxin. The Combi AOZDFT 3ml, the new Multianalyte-IAC, offers the user a tool to combine high purification potential of IAC, that means less matrix effects in apparatus even for difficult matrices, with multianalyte function of LC-MS/MS. The most important mycotoxins, which are regulated by authorities, can be determined in parallel in one single run, that comprises extraction – enrichment – LC-MS/MS-measurement. Maximum levels set by European Commission /20061 are met for all commodity samples. The same IAC protocol can be used for all commodities, except for baby food where a bigger aliquot of sample extract should be used because of very low maximum levels of aflatoxin and ochratoxin in that commodity. Example of “easy” matrix: 5g of rice flour, well homogenized by Grindomix 200 mill, are extracted with 40ml of methanol/acetonitrile/water (25/25/50, v/v/v) by shaking (e.g. horizontal shaker HS 501 D of IKA company). Example of “difficult” matrix: For muesli same extraction procedure as for rice flour can be applied. Regarding manner of commodity, the enrichment procedure by IAC has to be split. All commodities except baby food can be cleaned up by applying 0.1 gram equivalents extract per IAC. Baby food should be processed with 1 gram equivalent to enable accurate determination of very low maximum levels of aflatoxin and ochratoxin even by sensitive mass spectrometers. 0.8ml extract (see 2.1.1., 2.1.2., containing AOZDFT-quantity of 0.1g commodity) is diluted with 10ml PBS and placed on top the B-TeZ IAC Combi AOZDFT column in an appropriate reservoir. The rate of flow through the affinity gel is 1 to 3ml/min. Be aware of major air bubbles that eventually reside inside the gel or between gel and luer outlet of the column that hinder consistent flow and the necessary exchange of matter. If extraction and enrichment procedure is carried out with given quantities, resulting organic solvent content (= 2% acetonitrile and 2% methanol) in PBS diluted extract does not affect recovery performance of B-TeZ IAC Combi AOZDFT column. If bigger extract volumes shall be analyzed per column, the volume of the diluting PBS should be appropriately enlarged to ensure resulting organic solvent contents of acetonitrile and methanol do not exceed 15% very much in the solution to be applied on the column. E.g. 8ml extract (see 2.1.3., containing AOZDFT-quantity of 1g commodity) is diluted with 20ml PBS and placed on top the B-TeZ IAC Combi AOZDFT column in an appropriate reservoir. Extraction and enrichment procedure are currently being validated. After sample has passed the gel completely, the gel is washed by 5ml of water. After wash process is finished, remaining liquid residues in the gel are removed by applying either slight over- or underpressure. The sample reservoir on top of the B-TeZ IAC Combi AOZDFT 3ml-column is removed and an appropriate vial to collect elute is placed below affinity column. Bond mycotoxins (AOZDFT) are eluted by using 3 x 1ml of methanol/acetic acid (98/2, v/v) mixture. 1. Flow rate of elution solvent through column should not exceed 1 ml/min. First a volume of 1ml is applied on top of the gel; after shortly applying slight pressure, normally the column starts to elute by force of gravity. When it has passed, the next portion of 1ml is applied, when half of the quantity has passed, elution is stopped and the elution solvent is allowed to go inside gel particles for 30 seconds. After that the third portion is applied in the same manner like the second portion. Remaining liquid residues in the gel are removed by applying slight pressure. Unified elution fractions are carefully evaporated to dryness by stream of nitrogen in heating block of 50°C temperature. The residue is redissolved in 0.2ml of acetonitrile/0.1mM ammonium acetate buffer (30/70, v/v) (= LC-eluent).